Do you suffer from an abnormally curved spine or back pain in Miami? If so, then it’s possible that your spine doctor will diagnose you with a condition called kyphosis. To discover more about this condition, keep reading to learn about its types and causes. 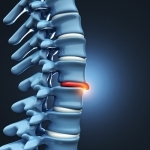 Do you suffer from neck or back pain near Miami and wonder if spinal stenosis could be to blame? If so, then your spine doctor will ask you about your symptoms to determine if they’re being caused by spinal stenosis and what area of your spine is affected. 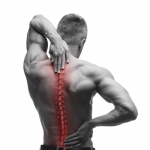 What Complications Are Associated with Herniated Discs? Herniated discs, also sometimes called slipped or bulging discs, occur when the discs that separate the vertebrae in the spine protrude from their normal location and push against the nerves in the back. Although herniated discs sometimes do not cause any symptoms, in other cases, they can cause debilitated back pain. If you think you could be experiencing the symptoms of a herniated disc, see a back doctor in Miami for diagnosis and treatment.